Canna is a monocotyledon and a member of the Cannaceae. There are at least seven species and many hybrids have been produced because the plant has large showy flowers. The petioles and leaves of Canna exhibit several hydrophytic characteristics, including very conspicuous airspaces that traverse the petiole and leaf blade structure. 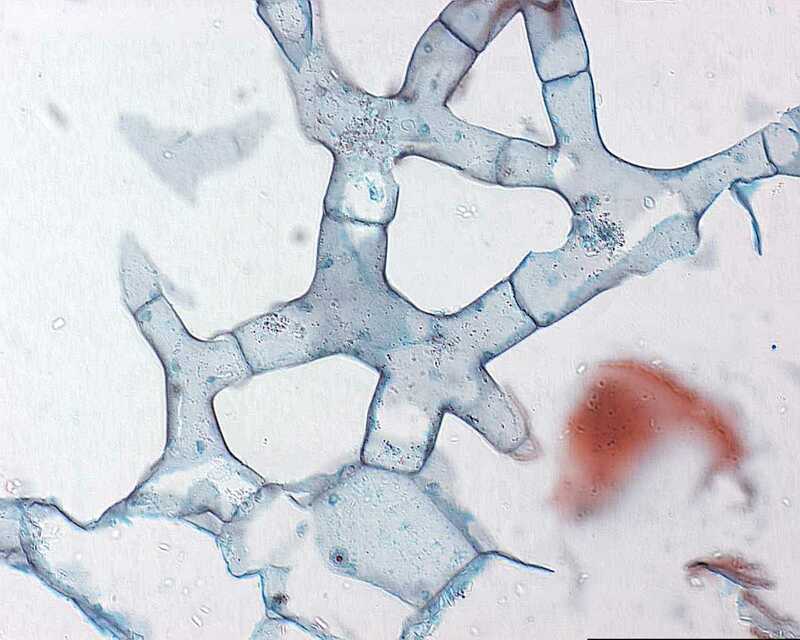 There thin-walled parenchyma cells are devoid of chloroplasts, and are therefore colourless. The photomicrograph to the right illustrates the variability in form of these aerenchyma cells.